This recommendation is quick because I am going to start my outline for the LAST PAPER OF MY DEGREE. I really am. Silly me, you will need to know the title and author of course! 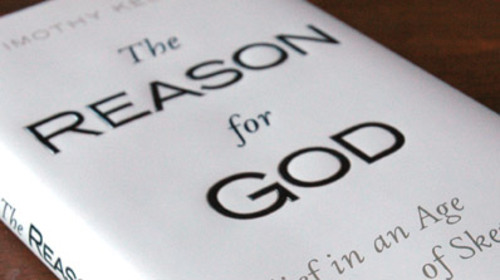 The Reason for God by Timothy Keller. Now, put it on hold at the library so it will be all ready and waiting for you the next time you go! OK, I just did. I've got a hold on the first of 3 copies returned. He's got 3 other books out since 2008 - have you heard anything about them? No I haven't... Maybe I will look into that for some reading this summer!